When I went on safari in South Africa with the truly beyond-chic andBeyond, I saw a black rhino, the Greta Garbo of the bush. Illegal poaching of the beautiful rhino is rampant in Africa and must be stopped. 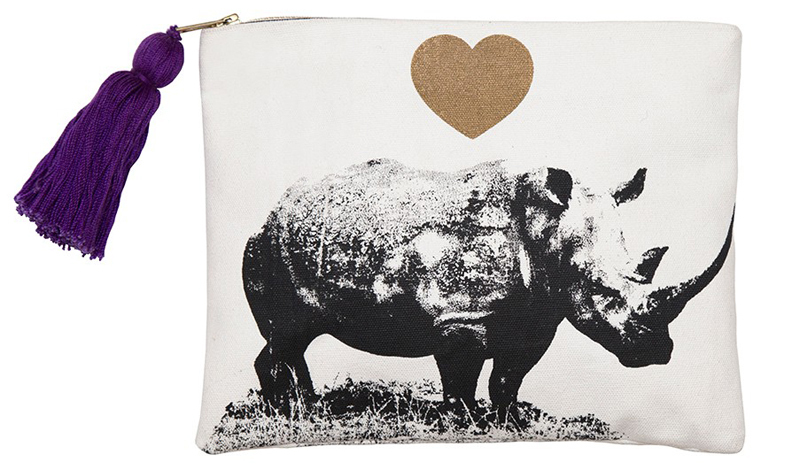 Designer Stephanie von Watzdorf of Figue, the bohemia-luxuria-to-the-max label, collab-ed with andBeyond to create a limited-edition rhino pouch that feels like you’re carrying a Peter Beard photo (Stephanie took the image in Kenya). The pouches support Rhinos Without Borders and only cost $95 at andBeyond’s Safari Shop and Figue’s site.